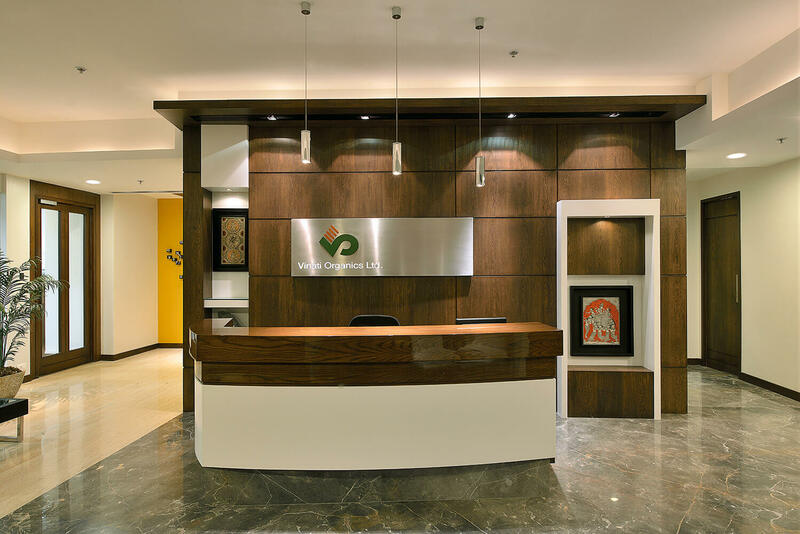 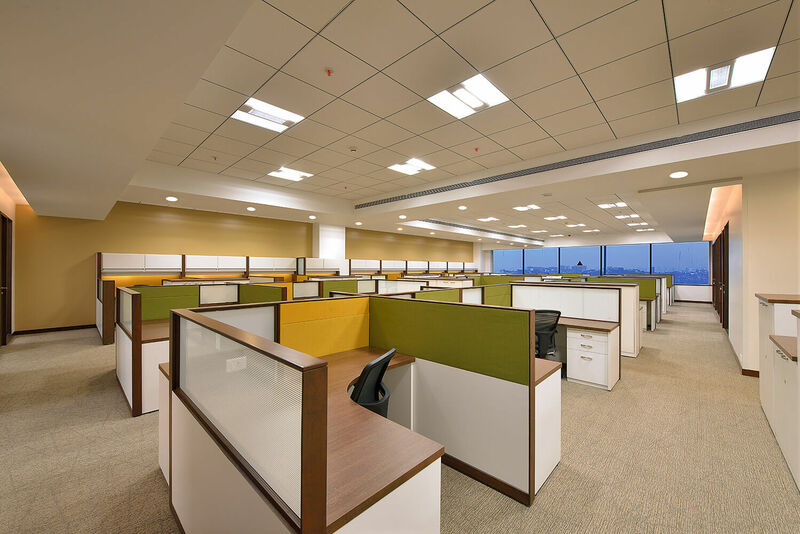 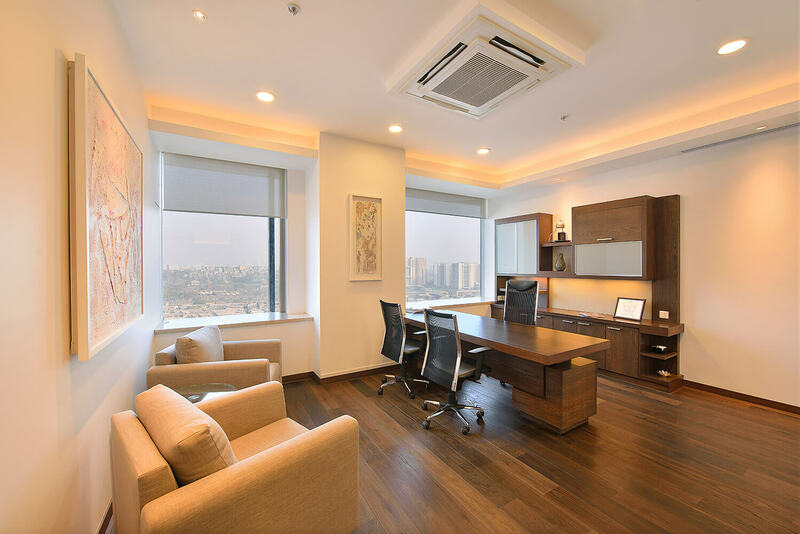 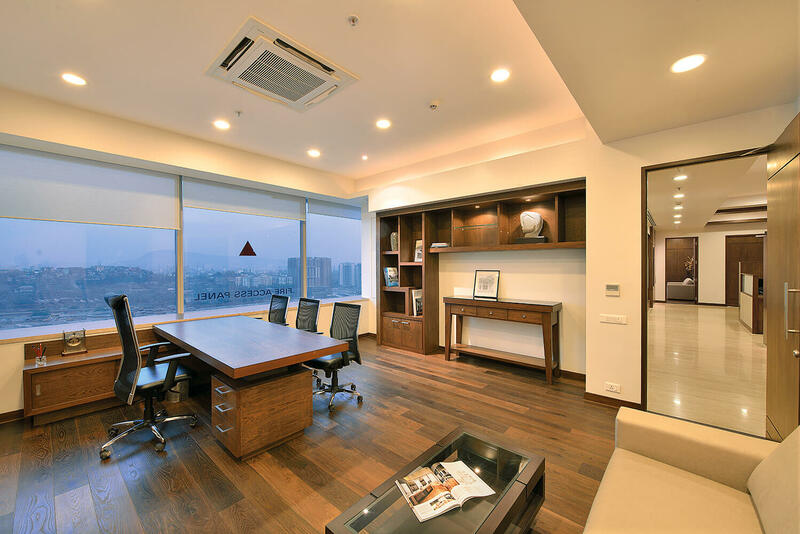 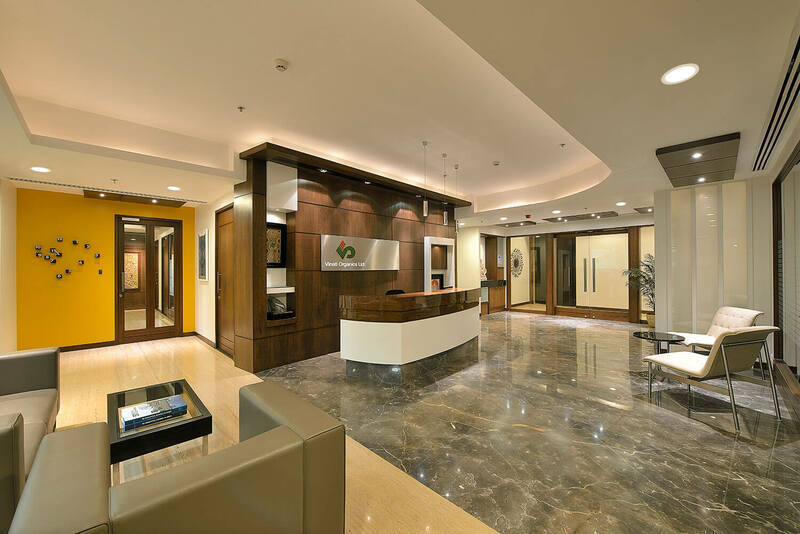 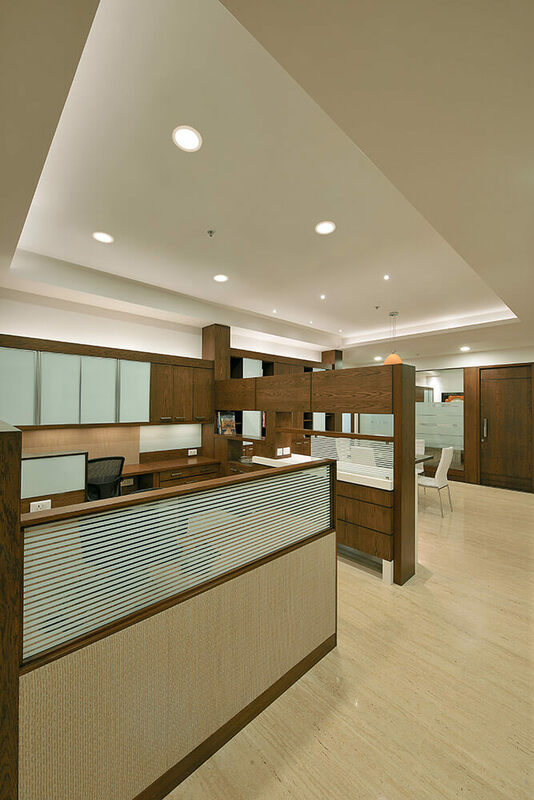 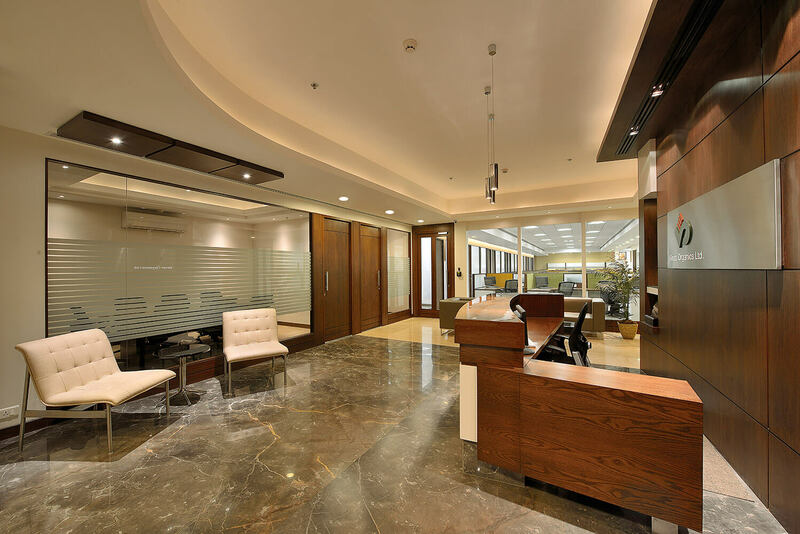 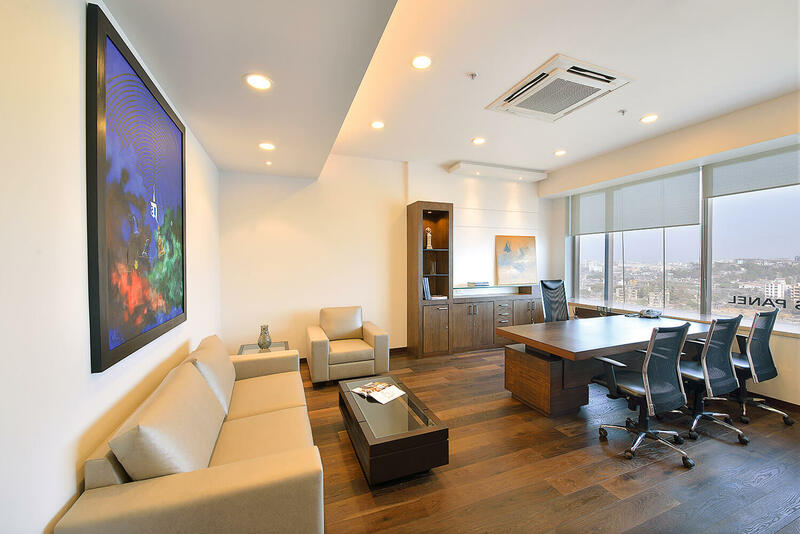 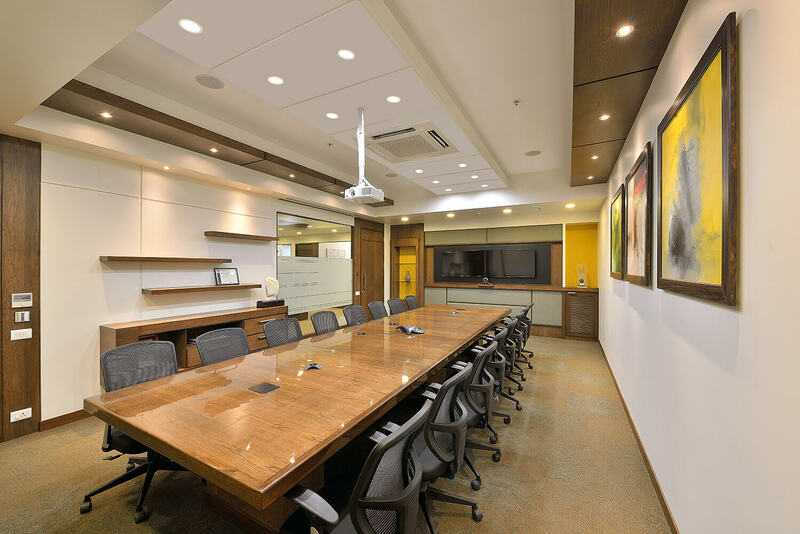 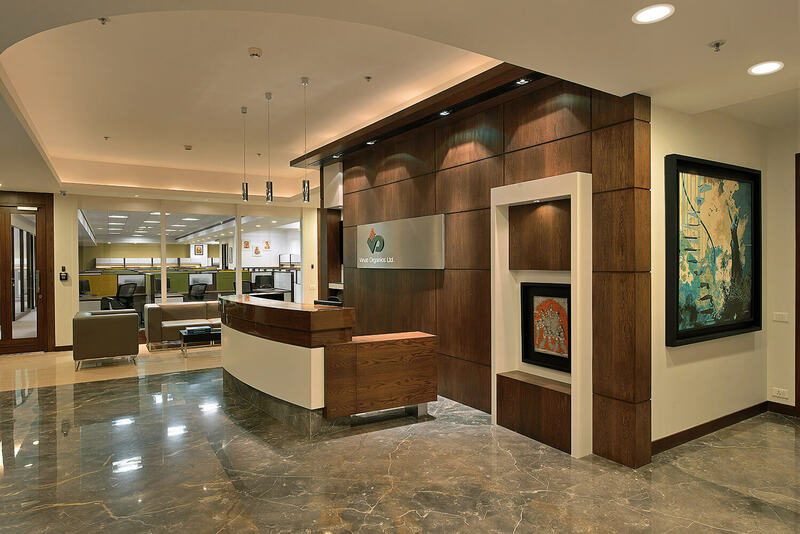 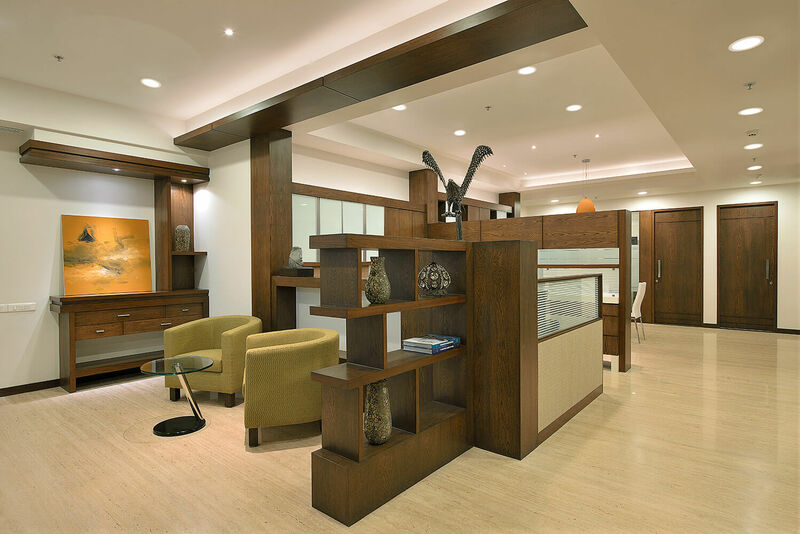 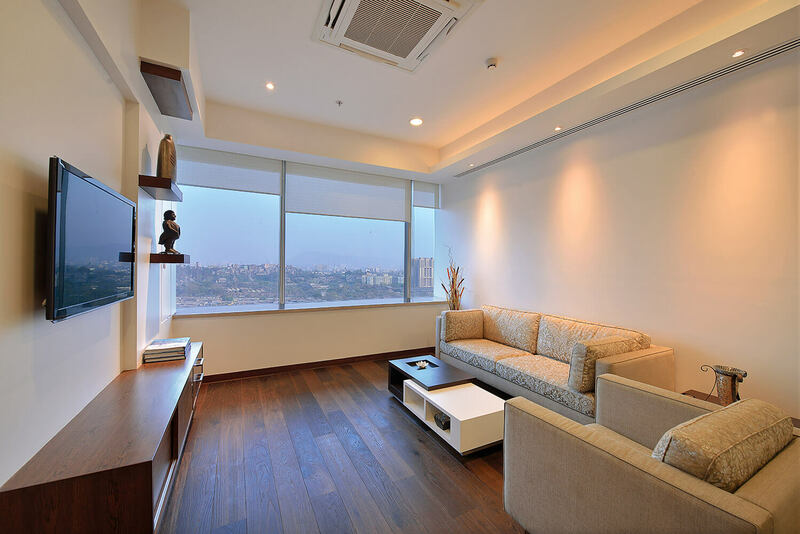 In a strong endeavor to stand out as an exclusive office design, Vinati Organics Ltd had its objectives well laid out. 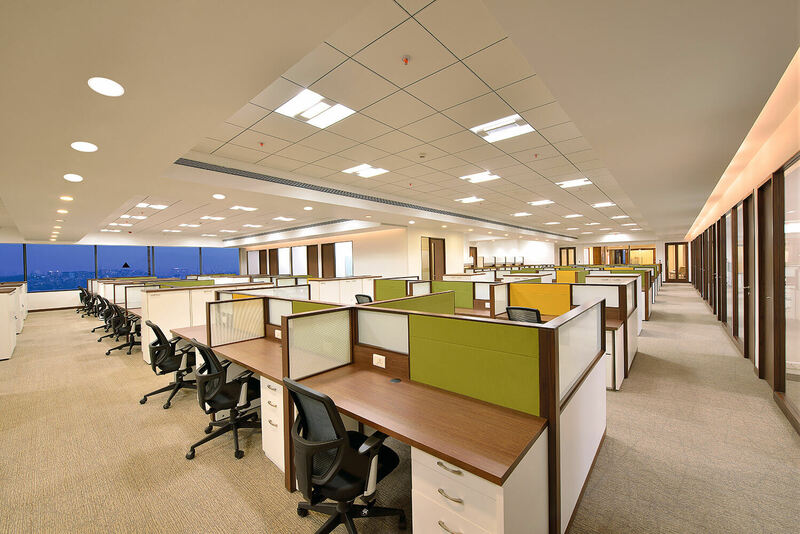 The quest for a modern and contemporary look with an understated warm and modest appeal was the concept to be adopted in the pursuit of the varied zones in the office. 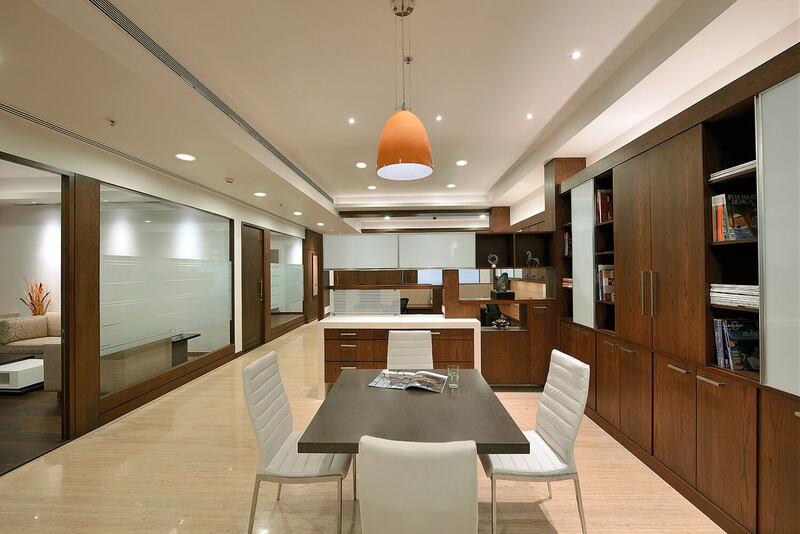 The passive use of leather and steel set amidst the warm wooden furnishings are influential in achieving a classic look and feel that is dominant in the spaces. 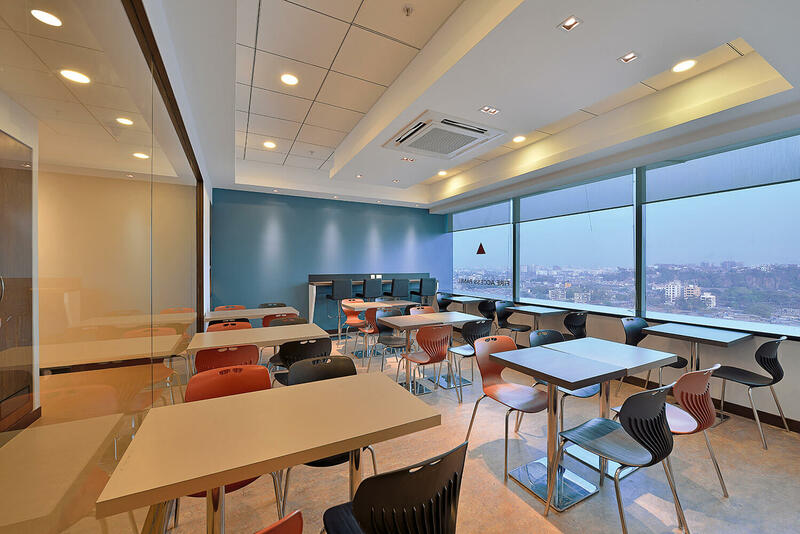 The vivid colors along with customized furniture design personalize the spaces, bringing in a sense of belonging to the team members. 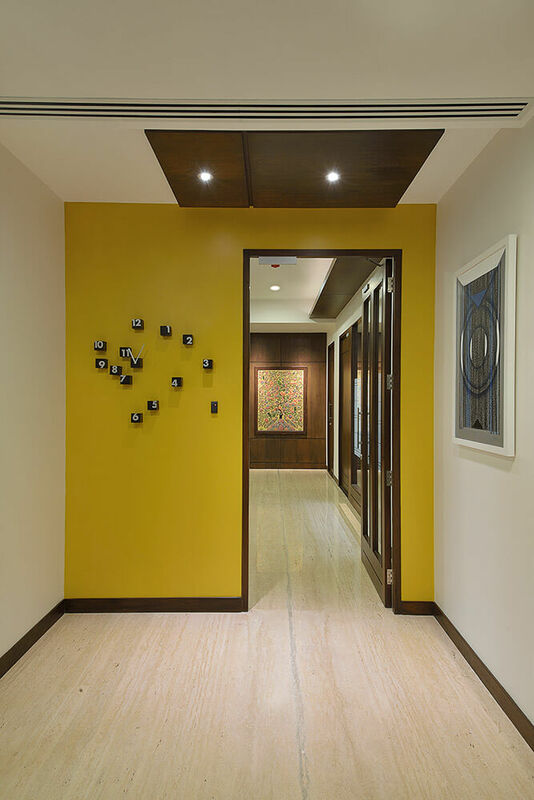 To achieve this, the supporting elements were rendered a comparatively neutral look and feel. 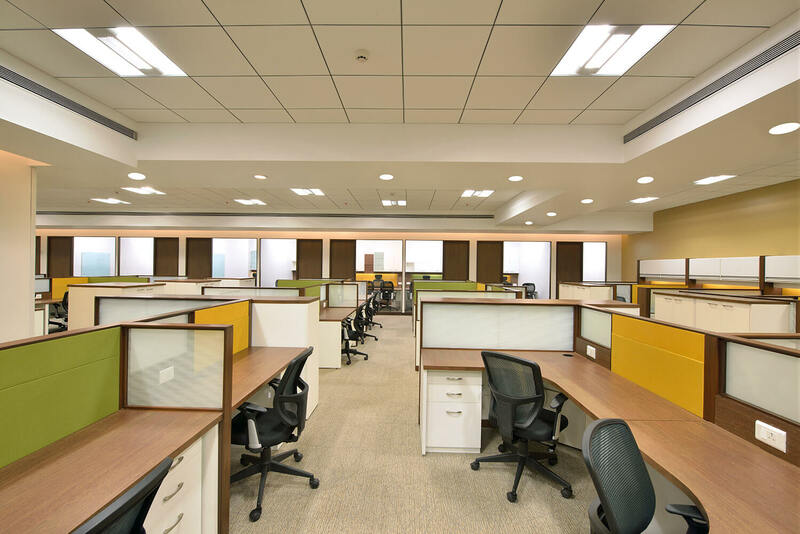 There is a sense of linearity and an undisturbed uniformity in the office areas, in a subtle contrast to the modern furniture designed for senior management. 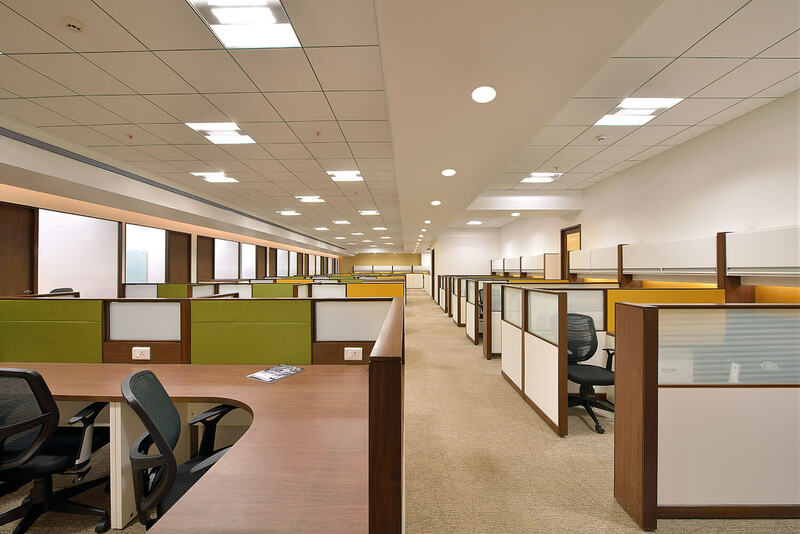 The elegant design and the easy-on-the-eye characteristics become the hallmark of the office.